How did you first come to hear about First Story? 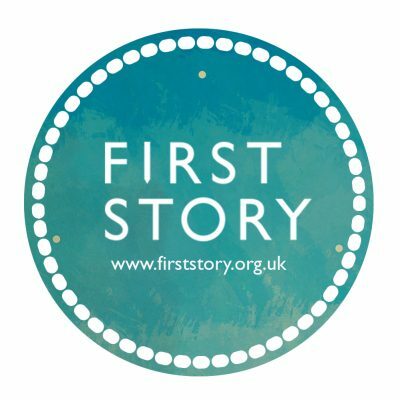 I first heard about First Story when I was a student, in the reception room at my secondary school, Cranford Community College. I can’t quite remember why I was there: probably being annoying and enquiring about exams or something. Our co-founder of First Story, Katie Waldegrave, was also there, probably being a lot less annoying than me… Katie used to be my History teacher at Cranford but had left the school at this point. When she saw me she said, ‘Ooh you would love this, you should do this!’ and handed me a leaflet: it was for a creative-writing group called First Story and the rest, as they say, is history. What attracted you to join the group or were you pushed? The promise of biscuits was very attractive. It was an extra-curricular group so we needed to want to come else we wouldn’t have wanted to keep coming week in week out and we always did. First Story was unlike anything else we’d done at school. Being told there are no rules; that we’re allowed to write whatever we feel like; that our memories and experiences are important and the stuff of literature was terrifying but completely enthralling. What did you like about it? Anything you’d like to say about how it worked? People won’t know…. 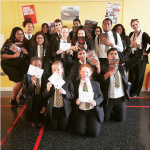 The core of the First Story programme is weekly workshops that the writer-in-residence leads for a group of around 20 students; then in the summer, an anthology of all the students’ work is professionally published and its publication celebrated at book launch event at the school. There were quite a few things I liked about the programme. Our writer-in-residence was amazing! We worked with William Fiennes, who is also co-founder of First Story, and is the warmest, most brilliant man. I’m trying not to sound saccharine but he really is great. I’d also never met a writer before so it was a weird moment realising that writers are humans too. 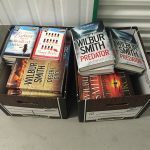 I don’t think I was aware of this at the time but having a published author encouraging you and telling you that your writing is really good had a tremendously positive impact on my confidence. Particularly as that writing was drawn from my own experiences and was informed by Hounslow and my mum’s house. It gave me licence to be a bit more daring and creative in other parts of life as there was no harm in trying. We also had Alice Patten and Jon Ronson at our anthology launch, which was brilliant, it gave us even more of a sense that we were writers just like them. What made you want to continue to be attached to First Story and now work for them? I had been ill growing up so after completing my degree I decided to take the plunge and have major surgery. While this was being planned and prepped, I wanted to be useful to someone (not just lazing around on my mum’s sofa) but not get a job where I would have to leave after just having started because I would be too ill. I asked Katie if I could volunteer at First Story and she said yes so I started coming in once a week. First Story was also honestly the first place I thought of when I was thinking about what to do in my life, because it combined the joy you feel when reading a book with the absolute thrill you feel when you’ve created something, which is unlike anything else I’ve ever felt. I had my surgery; First Story were really supportive; and I came back to First Story. Volunteering turned into a paid position and I’ve been here ever since. I think I must be doing something right as they haven’t asked me to leave yet. It was early days when you first joined, has it changed much? Yes! A lot has changed and also not very much at all. I realise that’s a paradox. The fundamental core of the programme hasn’t changed at all. The writing workshops are still guided by the students’ own life experience and encourage them honing in on concrete details that make that life rich and unique. 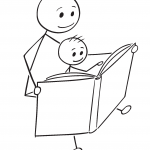 It’s still about giving kids confidence to be who they are, and the writing skills to express that. However, the programme has grown much bigger, not just in terms of the number of schools now taking part in the project (from just 1 when I was a student to 70 schools this year all over the country!) but also what the programme offers on top of the writing workshops. To kick off the programme, we bring together nearly 1,000 students from schools across the country at the University of Oxford for the Young Writers’ Festival, where headliners in the past have included Phillip Pullman, Malorie Blackman and Patrick Ness. Throughout the year, we invite First Story students to regional writing events at universities and other cultural venues like the V&A and the National Gallery, giving them the chance to write and perform together in new environments and an aspirational experience of institutions they may otherwise never visit. We also bring in Fellows from the Royal Society of Literature to give talks to wider groups in our First Story schools. We run the First Story National Writing Competition, which this year received over 3,000 entries from state secondary school students and teachers across the country. As a culmination of the academic year, we award Fellowships to a select number of students from across the country to attend week-long residential writing courses in the countryside in partnership with Arvon. In addition to all our work with students, we provide training for teachers in both First Story and non-First Story schools, helping to enhance creative writing teaching practices and to improve teachers’ confidence in their own writing. The anthologies also have a proper spine on them now. My anthology was saddle-stitched. Schools now have perfectly-bound anthologies with a real spine and an ISBN and bar code. They look, feel and smell like a book you could find in a bookshop or library. In fact, you can find them – they’re at the British Library. What did it give you? What does it give others? Would you recommend it? First Story encourages young people to use their own experiences in their writing, to give them confidence, a platform for self-expression and a sense of the value of their own lives and memories. It’s an opportunity for students to express themselves in a safe, nurturing environment in which they can experiment and play with words and find their own voice. I can’t recommend it enough. First Story says it changes lives through writing. It’s a bold claim. I can’t speak for every student who takes part in the programme but it certainly has changed my life and I’m really grateful for it. Note: Will Fiennes remembers Jay equally warmly. He set that first group at Cranford to ‘translate’ Under Milk Wood into their own experience. For ‘Bible black’ Jay wrote ‘bin liner black’. Unforgettable. Give a Book gives all First Story students books for Christmas and also helps with the very popular book stall at their annual Young Writers’ Festival.